Aren't these fabulous? 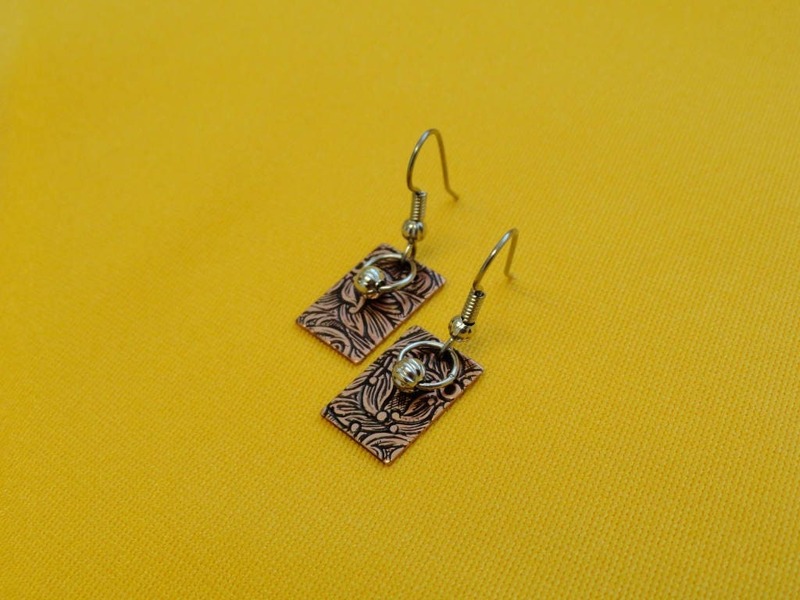 They are such an unusual shape - a little baby antique copper rectangle with the most gorgeous swirly stamping all over! We didn't want to detract from the pattern so we just complemented the design with a delicate ribbed silver bead on a narrow silver ring. Every pair will be unique because the stampings vary on each piece. These earrings are so lightweight and have such clean lines you can wear them anywhere. Of course the earwire is surgical steel and highlighted with a ribbed silver bead. They measure a delicate 1-1/4" from the top of the earwire and are 3/8" across.